I've been waiting around three weeks to finally publish this post! I'm no doubt eager to have fall quickly arrive and as such this topic has literally been in "draft mode" since the middle of August. 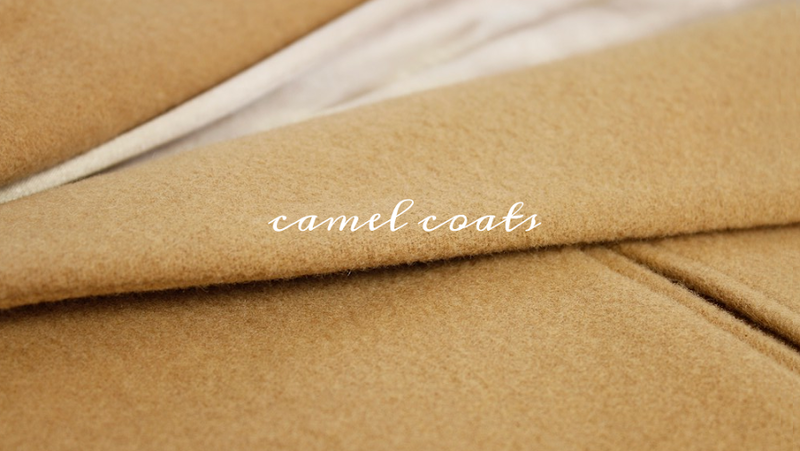 Now that it's officially September and fall coats have finally trickled into stores, I've started shopping for the perfect camel coat for fall. My closet is full of black coats with the occasional gray and navy thrown in there, but surprisingly I have yet to own a camel coat. There is just something so chic about a camel coat paired with simple patterns or with a primarily black outfit. You can bet a camel coat is on my fall wardrobe wishlist. I think camel is going to match perfectly with my new leopard pony-hair slip-ons. For tons of more inspiration and photos of chic girls in their camel coats, check out this post from HonestlyWTF! Check out other looks I'm loving on my Pinterest!